You have no idea how excited I am about this event! In just two weeks time on the 14th December, Bettina Scarlett will be hosting London's best vintage Christmas market to date at the Hammersmith Club. 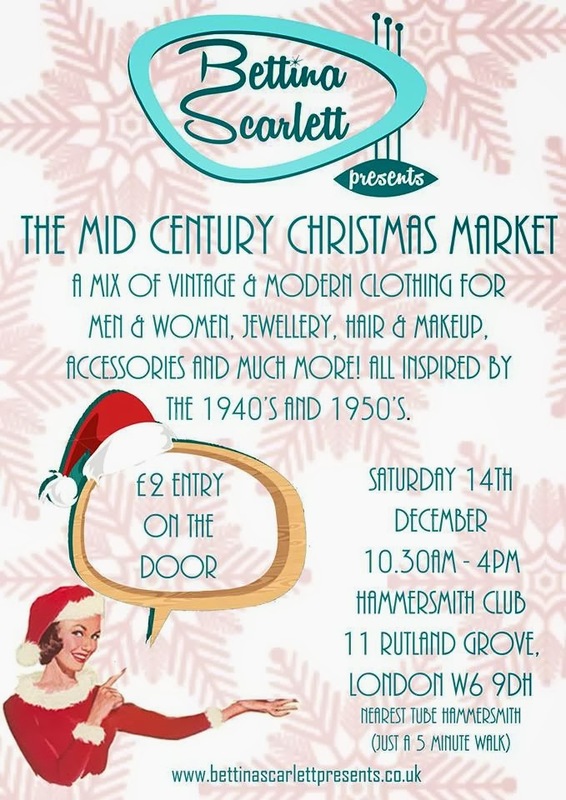 There will be many stalls selling many pretty, sparkly and shiny things for the festive season, including Lady K Loves, Pip Jolley Jewellery, Rosie Alia Hair Accessories, Oh Sew Vintage and many more! Plus there will be lots of festive tunes being spun from the disco jockeys over at Get Hot Or Go Home! Check out the Facebook page for more details! 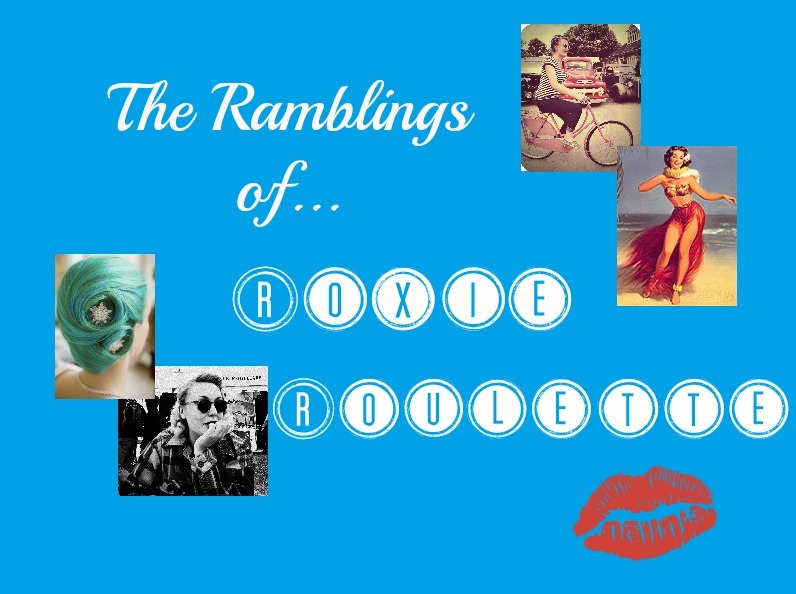 I've been a friend of the lovely lady behind this event since this summer, having modelled with her at the Hotrod Hayride and been a chalet buddy with her this Rhythm Riot, so I'm super excited about seeing her again, as well as lots of other friends from all over the country who I haven't seen since the summer! Hopefully, depending on trains and finding somewhere to crash, I will be dancing the night away at The Boom Boom Room after the event too! Cannae wait! If you've liked this post, why not head over to my Facebook for more updates?